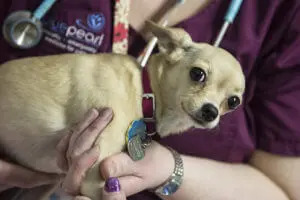 Our 24 hour pet hospital is located in Fort Myers and serves Southwest Florida communities including Fort Myers, Fort Myers Beach, Naples, Sanibel, Captiva, Marco Island, Immokalee, Venice, Port Charlotte, North Port, Alva, Lehigh Acres, Estero, Bonita Springs, Punta Gorda and more. 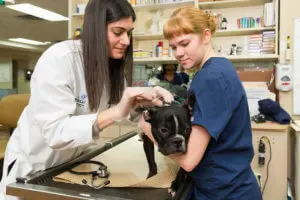 Our BluePearl pet hospital in Fort Myers, formerly known as Specialized Veterinary Services, offers the most advanced and comprehensive specialty veterinary care for pets in Southwest Florida. In our 18,000 square foot facility we have a CT scanner and MRI, and other state of the art diagnostic equipment. We also offer physical rehabilitation, including underwater treadmill therapy and therapeutic ultrasound. We are fully equipped as a 24 hour pet hospital and have multiple surgery suites. A veterinary surgeon is on-call around the clock.